Now that you've filed your taxes, maybe you should turn your attention to another financial matter. This might be a good time to check your credit reports from the three credit reporting agencies -- Equifax, Experian, and Trans Union. While checking your credit report will alert you to fraudulent activity on your account, a much more likely event is to discover incorrect information that could lower your credit score. Under federal law, you are entitled to a free copy of your report each year from all three agencies by going to one source -- www.annualcreditreport.com. Download all three copies and carefully review them. The reports should contain pretty much the same information, but sometimes one report will contain information not included in the other two. That's fine -- what you are looking for is information that is incorrect, such as having an account 90 days late when it was always paid on time. The procedure for challenging information is pretty similar at all three agencies. Equifax urges consumers to review their credit report each year and file a dispute if something is wrong. There is no charge for that. Equifax says it will complete its review within 30 days of receiving a dispute. It will contact you with the results using your preferred mode of communication. If Equifax finds the report contains an error, it will fix it without any further action from the consumer. 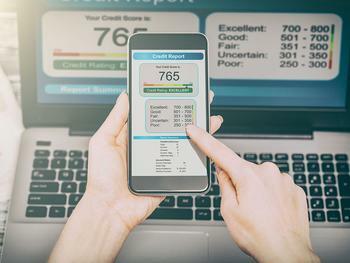 The National Foundation for Credit Counseling (NFCC) says not all credit report errors have the same impact -- some may be more consequential than others. It advises consumers to immediately address information in the credit report that clearly belongs to someone else. Also, you need to know the credit limits on your credit cards, because if they are listed as lower than they actually are, it will lower your credit score. Also, look for really old information. In general, negative information more than seven years old must be removed from your credit report. Under law, if the credit agency determines the information is correct and must stay in the report, consumers may submit a statement of dispute of up to 100 words, explaining the circumstances, which becomes part of the credit report. Negative information that is true has to stay in the report, in most cases for up to seven years. Unpaid judgments can be reported for seven years or until the statute of limitations runs out, whichever is longer, while some information has no limit on how long it can be reported. If a company tells you it can remove negative information from your credit report, NFCC says you should watch out. It says these companies generally charge high fees and deliver little that you can't do yourself for free.